Through star filled skies on Christmas Eve Kay Harker, in a sleigh pulled by eight unicorns and driven by Herne the Hunter, returns in triumph to Tatchester. The illustration on the cover of this issue of BfK is by Faith Jaques and is taken from The Box of Delights, a newly illustrated edition of John Masefield's classic children's book, abridged by Patricia Crampton and published by Heinemann, 0 434 95052 1, £7.95. A paperback edition (without colour plates) is available from Fontana Lion (0 00 572415 9, £1.50). We are grateful to Heinemann and Fontana for help in using this illustration. 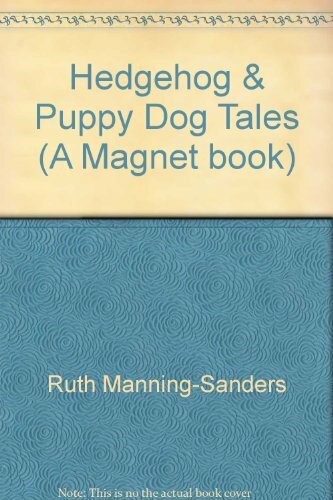 This accomplished storyteller recounts seventeen tales from many countries through the clever device of having two central characters, the scatterbrain Puppy Dog and the wiser Hedgehog. As always, there is a considerate tone to the telling, and the most enjoyable to the sixes I shared this with were How Robin Redbreast Sang Before the King (from Scotland) and Tiger's Nut Tree (from Africa). A good idea, which brings a diverse group of stories to an audience (middle to top infants) that's often hard to match up to. A very attractive edition, with appealing cover and illustrations.